This entry was posted on October 6, 2015 by Tinteán Editorial Team/EMcK, in Eureka Stockade, Features, History and tagged Labor Family History, memoir. Bookmark the permalink. She was the furrier’s daughter from Dublin. Little is known about Eileen Mary’s early family history except that she was the second daughter of Thomas and Mary Joyce. Nevertheless Eileen Mary Joyce will always be remembered as the woman who saved the Australian branch of one of County Laois’ most famous families – the Lalors. Thomas Joyce operated a furrier and drapery business during the 1880s and early 1890s at 62 Grafton St Dublin. Whether it was the grinding poverty of the time in Dublin or just an opportunity to commence a better life elsewhere we are not certain but Thomas and Mary Joyce and their three children arrived in Melbourne in 1904. Thomas died a few years later after establishing a drapery business in King Street Melbourne. 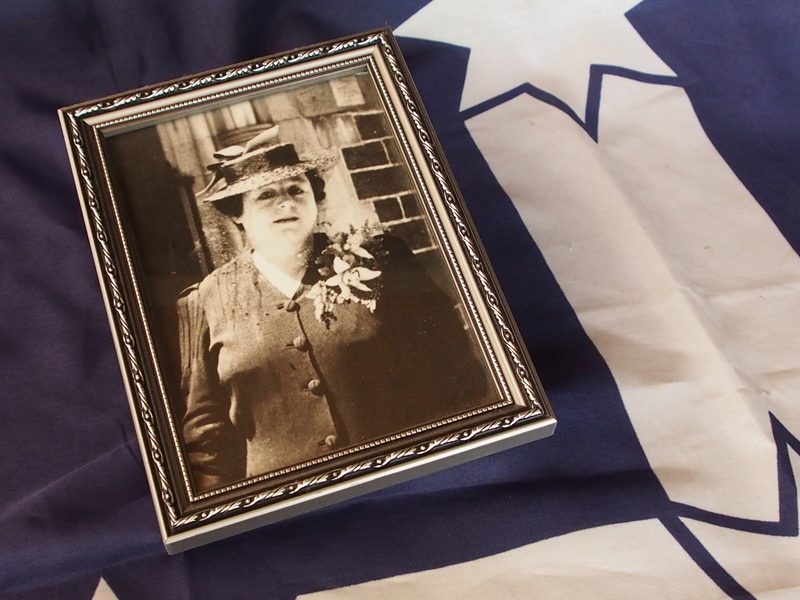 The eldest of the three children Nano Joyce married Dr Peter Anthony Lalor, the grandson of the Eureka Stockade leader Peter Fintan Lalor, in 1913. Eureka’s Peter Lalor was from Tenakill, Co Laois and the brother of James Fintan Lalor, radical writer and Irish rebel, and son of Honest Patt Lalor (member of the House of Commons and one of the key fighters for Catholic emancipation in Ireland). At the time of Nano’s marriage, young Dr Peter Lalor was the first Medical Officer-in-Charge at the Royal Military College, Duntroon. Later he was to become a leading psychiatrist and appointed by the government as medical superintendent at a number of Australia’s mental institutions. Eight years after their marriage, Nano died suddenly from heart failure leaving a husband and four young children. The second sister, Eileen Mary, had always been very close to Nano’s children, frequently caring for them when Dr Lalor’s demanding position called Nano and he away. 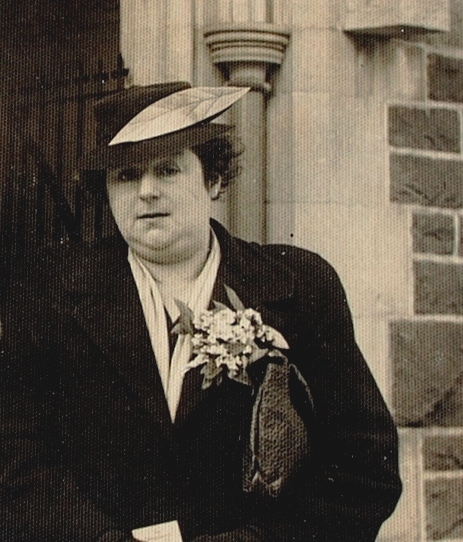 Now Eileen became the permanent carer of the Lalor children and in September 1921, with the permission of the Catholic Church, she married her brother-in-law. It was a very happy marriage, Eileen often sharing that Peter Lalor was ‘the finest man in the world’. However those happy days were not to last. Two years before the financial crash and the resulting Great Depression, Dr Peter Anthony Lalor died from an acute attack of pleurisy while practising at the Sunbury Mental Hospital. Eileen Mary was left with her four adopted Lalor children, no home and few resources to with cope with the crippling depression. The limited financial inheritance left to Eileen was supposed to provide for her and the children. The new widow would confront these difficult times armed with three powerful virtues. She was very strong woman, blessed with the Wisdom of Solomon and most of all, an extraordinary sense of love that embraced all those around her. Eileen invested all of her inheritance into the education of the children, believing that the Lalor children must be properly equipped to carry forth the proud name and responsibilities of this family. While the children attended boarding school with the Loretos and Jesuits, she was satisfied to live in marginal rented accommodation. Her investment was correct – the four Lalor children benefitted from their quality education and with her encouragement lived by the Lalor culture based on justice, peace and responsibility. The eldest of her children, Nano Bernadette Lalor, became a very successful nurse who bought her own hospital, near where Cabrini Hospital in Malvern now stands, only a few years after completing her medical training at St Vincent’s Hospital, Melbourne. Unfortunately Nano’s marriage was not successful. In consultation with Eileen, it was decided that Nano should continue her career as an administrator and director of nursing, and Eileen, now in her mid fifties, would bring up Nano’s young son. I was that son who would benefit from the best of two wonderful worlds. Nano, the finest mother one could ever have and a friend with whom to share nights out and unforgettable experiences together, and a grandmother (Eileen) whose wisdom and strength of character I still draw upon half a century later. Life would continue to be a struggle for Eileen but nobody ever doubted her determination of overcome the most formidable situations. Her Christianity was her principal driving force. My grandmother was imbued with her Irish Catholicism. However it was never regimented religiosity. She encouraged me in the church’s devotional life. We built altars to the Mary in May and to the Sacred Heart in June. But there was always a deeper edge to her faith. It was not a simplistic practice, rather it was based on responsibility to one’s neighbour. ‘Don’t feel sorry for the poor – do something about people’s poverty’ was her advice. Getting out of bed at 6am to attend daily Mass for the six weeks of Lent was not an indecipherable penance that a child had to endure but a preparation for a great celebration. When I was with my mother all those same values were present, not only in what she said but the way in which she lived. When it came to the Lalor family, my grandmother always influenced us to remember the contribution for common good that the Lalors both in Ireland and Australia had made but never-the-less impressed on us never to live in their shadow but rather to go out ourselves and do something to make this a better world. Proudly I can say that many of this generation of Lalors have done just that. Sadly, recent generations of Lalors have enjoyed short lives, many falling victim to cancer at a young age. My mother Nano was one. She collapsed one Christmas Eve while I was still a teenager and was dead before the New Year. I still recall it as though it was yesterday, returning home from the hospital after midnight, totally distressed at losing my closest friend. In the silence of the hallway, my grandmother held me tightly and whispered: ‘Now there is only the two of us.’ As always, she was stating it as it really was but in those moments I could feel her strength and love flowing into me and I knew how fortunate I was to have her. She assumed the role of protector of the family. I recall on a number of occasions when a member of the family was very late returning home that Eileen, then near 60 years of age, ventured out alone into the night to a dangerous location inhabited by thieves and thugs attempting to find that person. She was probably terrified, however, she never showed a hint of fear. The grandchildren never called Eileen grandmother. I think I was responsible for coming up with the term of endearment ‘Iee’. I don’t know how it came about but as I have grown older that word ‘Iee’ clearly means to me ‘unconditional love’. Reflection upon the Lalor history post Eureka underlines a fundamental characteristic of the family – the female line has generally displayed inspired leadership, probably commencing with Alicia Lalor, Peter Lalor’s wife. However none can better claim the mantle of clan leader than Eileen (Iee) Lalor. This year marks the 121st anniversary of Eileen Mary Lalor’s birth and the 50th anniversary of her death. As a mark of respect for and love of this remarkable and humble woman, the wider family recently walked to the significant Lalor landmarks near her old home.